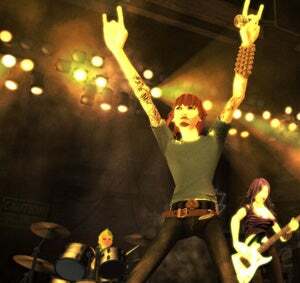 An update that hit Rock Band today will allow gamers to prep most of the songs found on the original Rock Band disc for play on Rock Band 2. The Rock Band Disc Export update will show up as a tab under the extra options in the Rock Band menus. For about $5 gamers will be able to export 55 of the games 58 disc tracks. The three songs not making the cut? "Paranoid" as made famous by Black Sabbath, "Run to the Hills" as made famous by Iron Maiden, and "Enter Sandman" by Metallica. And in Europe the track Tokio Hotel's "Through the Monsoon" won't be exportable. We know why Metallica isn't making the leap. Maybe the same holds true for Sabbath and Iron Maiden?